This beautiful necklace from the Mantra collection is made from 925 Sterling Silver. Traditionally associated with the Hindu god Ganesha, elephants embody strength, dignity and triumph over adversity. 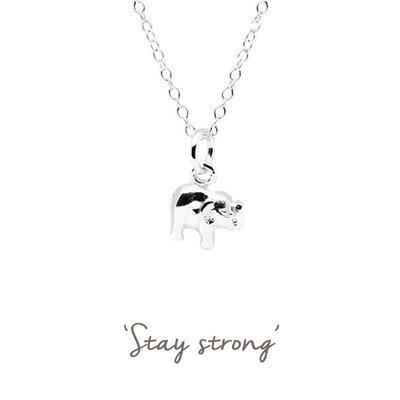 Wear this Mantra necklace to inspire you to stay strong in the face of any obstacles life throws at you.